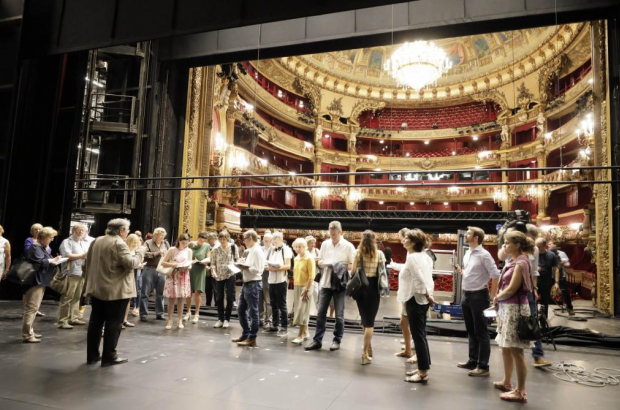 After a two-year renovation – which is still underway – Belgium's federal opera house La Monnaie is ready to re-open its doors next week, reports Het Nieuwsblad. While it may look more or less the same, the royal theatre promises to impress audiences with a few special innovations. General director Peter De Caluwé on Tuesday presented the newly renovated La Monnaie to the public. The seats are renewed but look exactly the same, there is a new air conditioning system and the light bulbs have been replaced by more economical LED lighting. But the most remarkable addition is under the stage, hidden from the crowd. "Under the stage, we have installed four silent hydraulic lifts, allowing us to raise and lower four different parts of the stage together or separately," says Dominique Mertens, who manages the construction projects at La Monnaie. “This will make the performances even more spectacular," he promises. An underground tunnel, connecting backstage with the stage to facilitate the moving of props, will be ready for use in spring 2018. La Monnaie covered the cost of the renovation itself, which is why the institution endured a loss of €6.1million last year. The first performance in the renewed La Monnaie is Pinocchio on 5 September, a work by Belgian composer Philippe Boesmans.